Synopsis, Our Opinion: Nice Vinho Verde at a GREAT price. 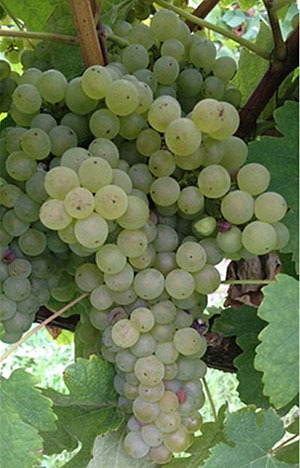 Geographic Appellation, Region, Country: Vinho Verde, Portugal. Paired With: Sauteed scallops with parsley and garlic. Chilled before drinking. Clear, dark wheat straw color and very slightly effervescent. Citrus, hyacinths, fresh baked bread right out of the oven and peach aromas. Fresh, dry and refreshing, with a light body and 150-grit texture. Tart flavors of: lemon, lime, ripe apple and water from a deep metamorphic rock well. Crisp acidity and a long inconsequential mineral finish. 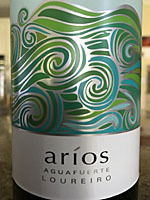 Very refreshing wine…a combination of flavors and mouth-feel that that were both stimulating and satisfying. At first we both commented the tastes were just a tad sour, but as the wine warmed all the other flavors became more prominent and any sourness disappeared. Nice Vinho Verde at a GREAT price. Photo from the Decanting Club. Imported by: Boutique Wine Collection; Philadelphia, Pennsylvania.